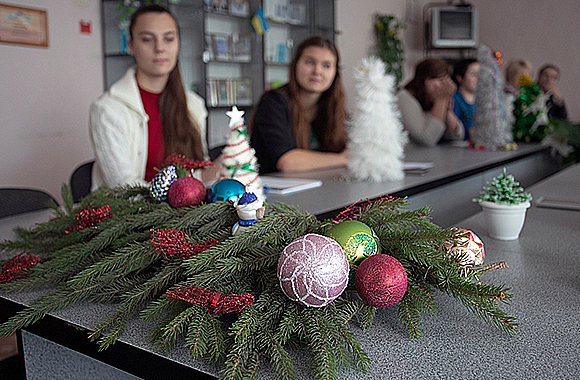 Within the series of New Year celebrations, the Faculty of Natural Sciences held a contest “An Ecological New Year Tree”. 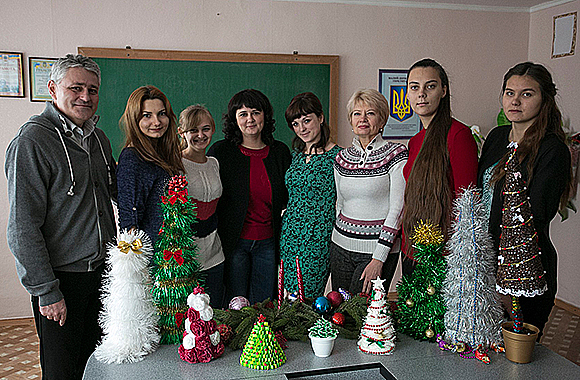 “On the eve of New Year holidays our Faculty announced a contest of creating a New Year tree with their hands”, – the student Dean Valentina Shpota told. 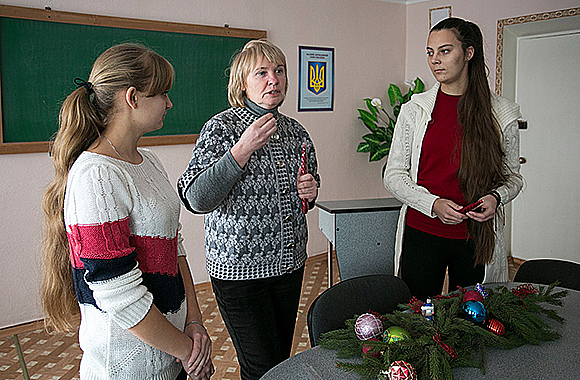 – Students of all specialties of the Faculty participated in the contest”. During the event, the groups presented their works, which were made of different materials and in different techniques. Here were “The Coffee New Year Tree,” “New Year Tree of Chocolates”, “Snow-Covered New Year Tree,” “New Year Tree of Beads”, “Quilling New Year Tree”, “New Year Tree-Fairy” and others. Each group presented its New Year tree in different ways. 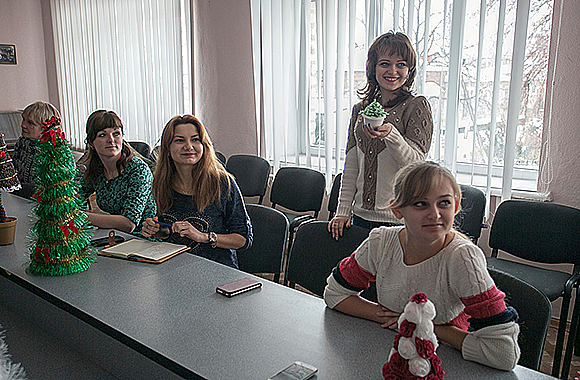 The second-year students majoring in “Biology” told an interesting tale about the New Year tree. The fourth-year students majoring in “Laboratory Diagnosis” read their own poem. The presentations included intertwined different subjects, but mostly they talked about preserving the environment and the protection of green beauties. 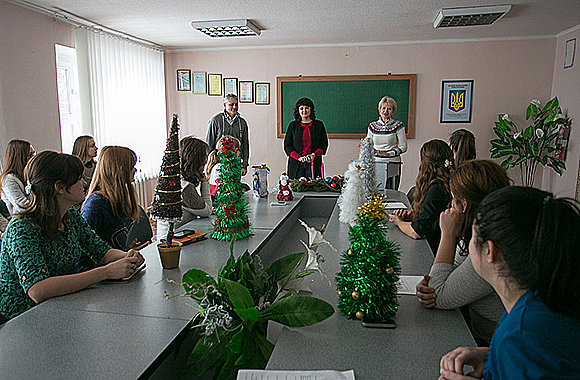 The senior lecturer of the Department of Landscape Gardening and Ecology N.V. Demidova held a spectacular master class on making New Year ikebana. 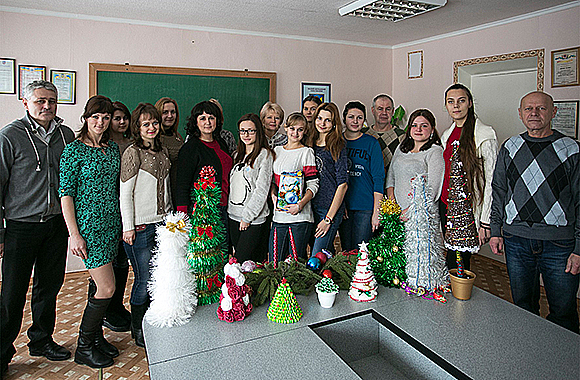 After the event, participants made a lot of interesting photos with charming New Year trees; and students were awarded with sweets for active participation in the contest.